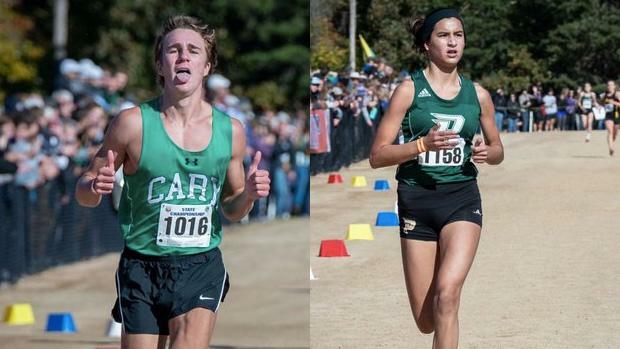 NCHSAA 4A Cross Country State Champions Carmen Alder (Pinecrest) and Anton Idhammar (Cary) have added their names to historic company as Gatorade Cross Country Players of the Year. Gatorade began recognizing athletes as State and National Players of the year in the 1985-1986 season. They don't have records for cross country prior to 2008 so it seems like it was added to the sports they recognized during the 2007-2008 season. Below are the athletes who won the honors.